Air Playit, a new video audio streaming software published by Digiarty Software, Inc., is now changing the way of watching video on iPhone iPad that people are used to. Without the need to sync via iTunes, people can remotely get their iOS devices connected with any video on their PC or Mac via WiFi, 3G/4G network. Videos even in incompatible formats such as MKV, M2TS, AVCHD, AVI, WMV now can be played on iPhone iPad smoothly and instantly. Streaming video is not a new but definitely a promising media delivery method. It symbolizes real time and efficiency. 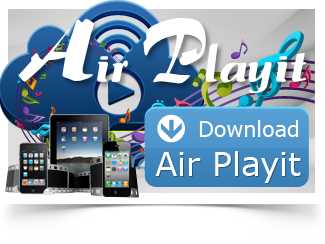 Air Playit takes advantages of this technological innovation and opens up a new way for people to watch video on the go. It combines a streaming server with app client for iPhone and iPad. Users need to install the server on their PC or Mac, with which they can set up the video library they want to stream. Then the app client will interact with the server and play the streaming videos over the air. Without waiting, people can use iPhone or iPad to watch the video on their home computer even from hundreds of miles away. Since its release on Jul.15, this free video streaming app for iPhone iPad passed 260,000 downloads on Apple App Store. Evidently, this new way to watch video is well-received. “According to the survey we made, users are happy with two main factors. Firstly, Air Playit gives them wireless and instant access to the video library on their computers. Secondly, they don’t need video converter software any longer.” said Jack, CEO of Digiarty Software. It is known to all that Apple devices have limited support for audio video file formats. With Air Playit, this is not an issue. It delivers videos from PC/Mac straight to iPhone iPad without saving the file and taking up storage. Thereby, users don’t have to go through lengthy process of converting videos to iOS device compatible format beforehand. Air Playit does the video conversion on the fly which makes the videos playable immediately. 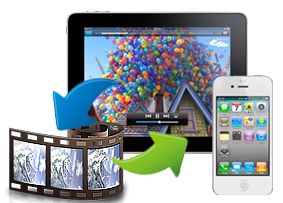 * Support streaming 320 different video & audio formats to iPhone iPad. * Automatically cache music. Users can enjoy the music on iPhone iPad without downloading again. * Support Apple TV-Out. This feature lets user stream video & music to TV via iOS devices. * The built-in HTTP server gives users access to the media stored on computer via any web browser. Specify permissions to the shared folders including Admin, Kids and Public. Other family members or friends can watch the videos you share, too. * How to Watch M2TS TS on iPhone iPad without Conversion & iTunes? * How to Stream MKV HD Video to iPhone iPad?